The Society’s prestigious Design Awards go from strength to strength, says Civic Society chairman, Simon Birch. This year’s presentations held in the Arnolfini theatre on 26th June 2017 attracted a crowd of over a hundred. 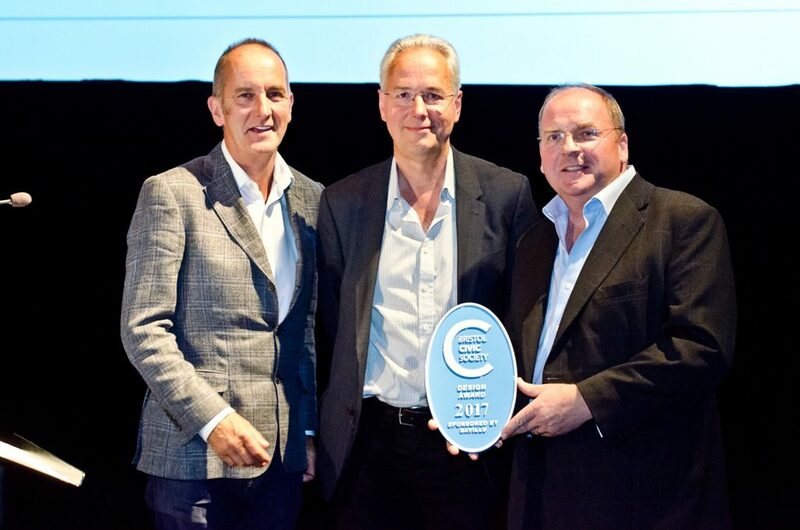 Guest speaker Kevin McCloud from TV programme Grand Designs delivered an entertaining and thoughtful talk and presented the familiar blue plaques. There are three fundamental criteria: nominations must be made for projects completed during the preceding two years; located within the City of Bristol; and visible from a public place. With 19 nominations the Panel shortlisted 11 projects and eventually made four awards. One of the great joys of our design awards is celebrating areas of Bristol that may be unfamiliar. 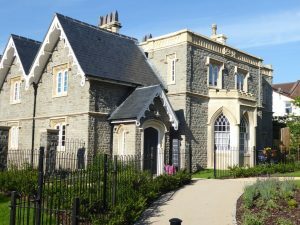 So it is with Lynwood House in Brislington. 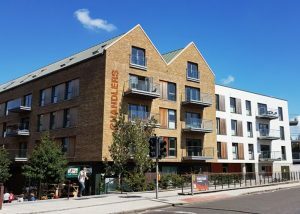 The current Grade 2 listed building goes back to 1841 but the building had fallen into disrepair, was on the At-Risk Register and had been the subject of a series of failed planning applications before Sovereign Developments worked with Noma Architects to create 52 dwellings. This includes four apartments in the handsomely restored Linwood House itself and a mixture of houses and apartments in blocks beside it, whose scale complements the Victorian terraces in surrounding streets. 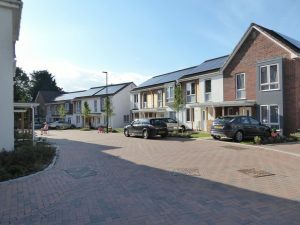 They have succeeded in creating a small community with communal space and gardens and with a mixture of shared ownership and affordable rent. It is an excellent addition to this area of Bristol, clearly valued and cared for, and a worthy winner of an award. As is often the case in conservation, much can be spent to give the distinct impression nothing has happened, for transformations come in various guises. This winner spent a grand total of a thousand hours in archives, as well as £3 million on capital costs and a million pounds more for outreach. This is, after all, a project about placemaking, community, maintaining old skills, and, yes, slate roofs, bricks and steam-pumps, but definitely not about flashy new galleries. Today, Underfall Yard rings to the sound of boatbuilders’ tools and the footsteps of 72,000 visitors a year. Success was achieved by an effective Trust which had made the site financially stable, offering a unique resource for maritime industries; and through a quiet, sensitive restoration under architect Alec French and fascinating, community-led interpretation, they have made it a site for all to visit. At the heart of Bristol it was important to get this development right from both the community’s point of view but also commercially. Umberslade with their architects Alec French have delivered a first phase to be proud of. 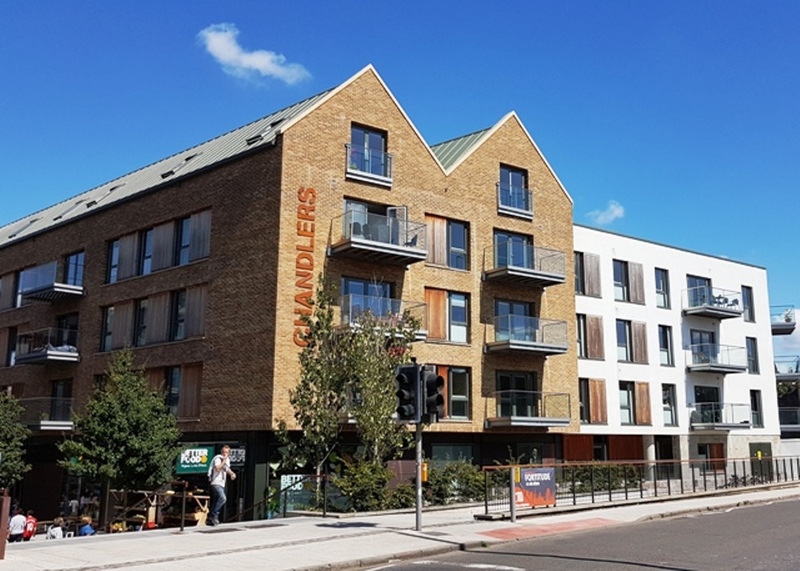 The design reflects the historic vernacular and its materials but is nonetheless modern and exciting, providing much needed housing including affordable in partnership with Sovereign and a new street of cafes and restaurants, introducing welcome additions to Bristol’s foods scene. Perhaps its greatest achievement is to create a new pedestrian link connecting Southville via Gaol Ferry Bridge to Bristol’s harbourside and M Shed. The environment and ambience created is high quality, uplifting and extremely well used by city centre pedestrian commuters as well as Bristolians at their leisure as a place to enjoy in itself. The imaginative use of relatively low cost shipping containers has also been a great success, allowing new businesses to flourish and innovate. Though modest in scale the Kingsmarsh House scheme represents the best of urban planning. In an age where commercial housing can be so disappointing and social housing virtually non-existent it is refreshing to see a project that combines a generosity of space and spirit with good design and high quality materials and detailing. 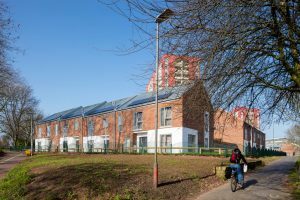 The buildings are not only popular with the residents who inhabit them but are much appreciated by the cyclists who use the adjacent cycle path as they have increased safety (both real and perceived). The buildings are not showy but instead are decent family homes that will stand the test of time. Kingsmarsh House – decent family homes that will stand the test of time. 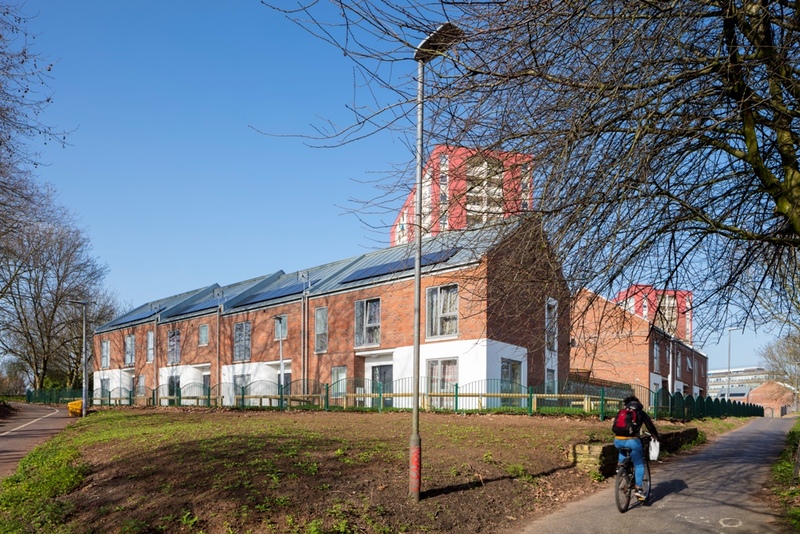 Lynwood House – a small community with a shared space. Lynwood House – this Grade II listed building had fallen into disrepair. 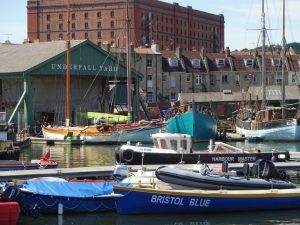 Underfall Yard – a site for all to visit. Wapping Wharf – with Gaol Ferry steps on the left. Bristol Civic Society thanks Savills Bristol for sponsorship of the Plaques. The plaques are produced by Wards of Bristol, Barton Hill, who also create our much admired Blue Plaques.